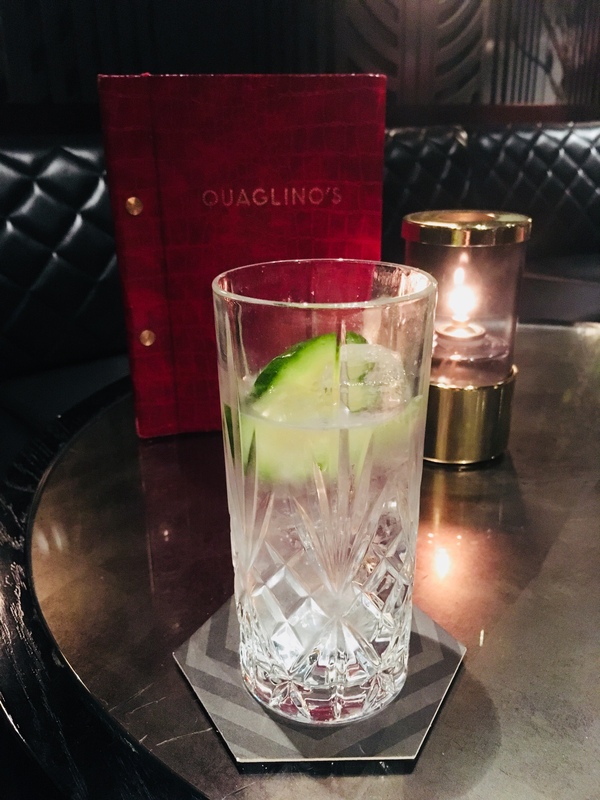 I recently visited Quaglino’s in Mayfair during a work trip to the capital. 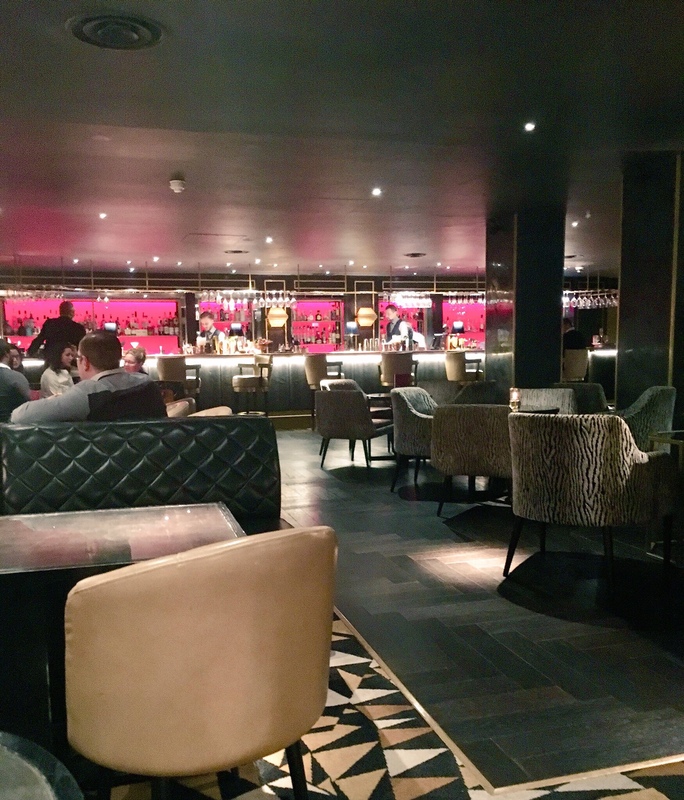 I’m not particularly familiar with this area of London (I don’t think a fleeting visit via a Monopoly board counts) but I was excited to have dinner in the private dining room here. Despite being a Monday night in January the restaurant was busy, and it’s easy to see why. 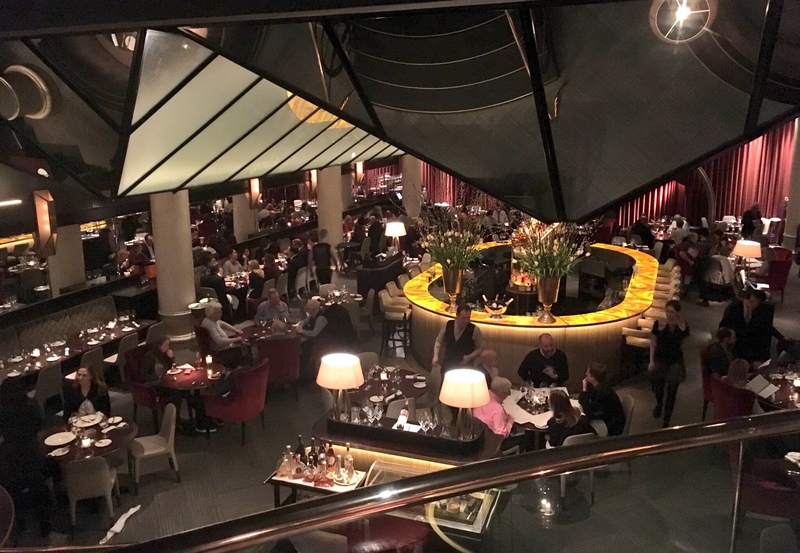 The place is absolutely stunning; dripping in opulent gold and plush red fabrics. A well made gin and tonic in the upstairs bar kicked off our evening, and their gin selection is as excellent as the heavy glass the spirit is held in. 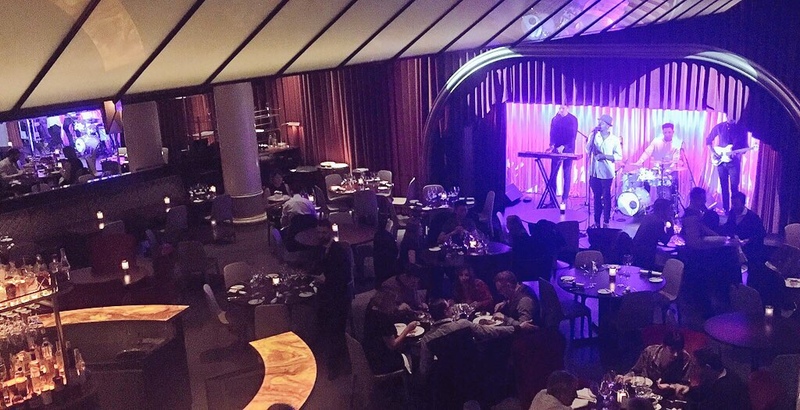 Split over two floors, we were seated in a large private dining room overlooking the bar and stage; live music is a regular fixture here. On our visit, a small band led by a fabulous soul singer provided the soundtrack to our evening. 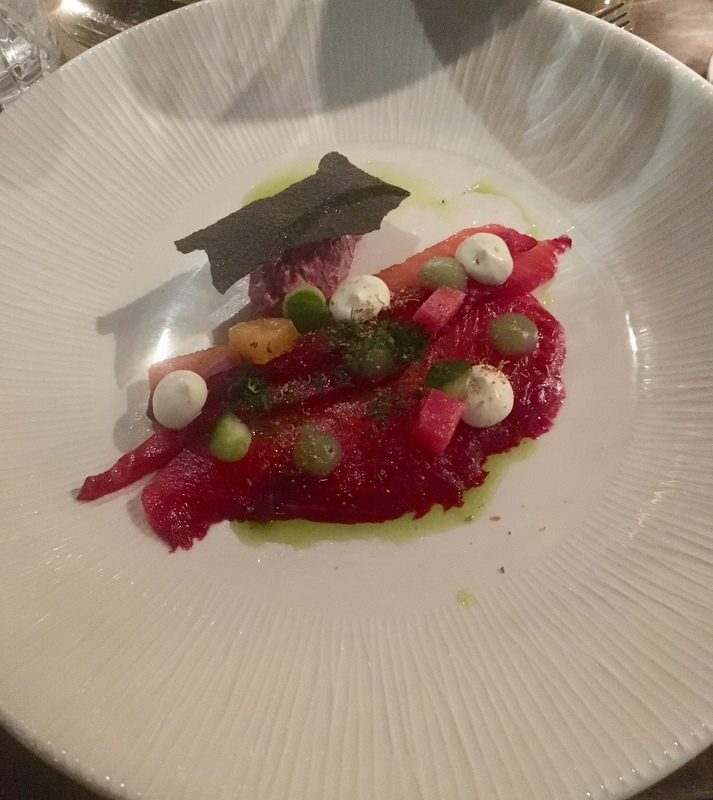 After being delivered a flute of crisp champagne, a delicate starter of beetroot and liquorice cured salmon proved to be a treat for the senses. 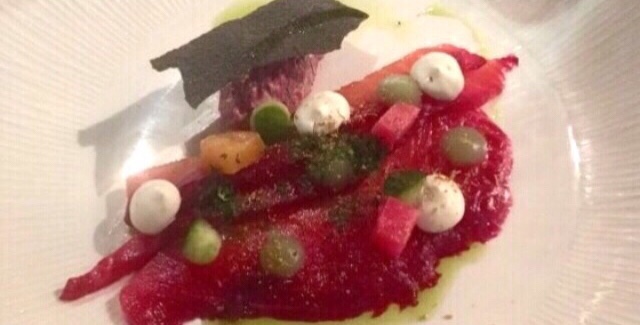 The stained fish was a beautiful centrepiece, full of vibrant, fresh flavours to match the colourful elements. Welcome contrast in textures came via a seaweed crisp and dots of fragrant fennel cream and crunchy pickled cucumber cubes. 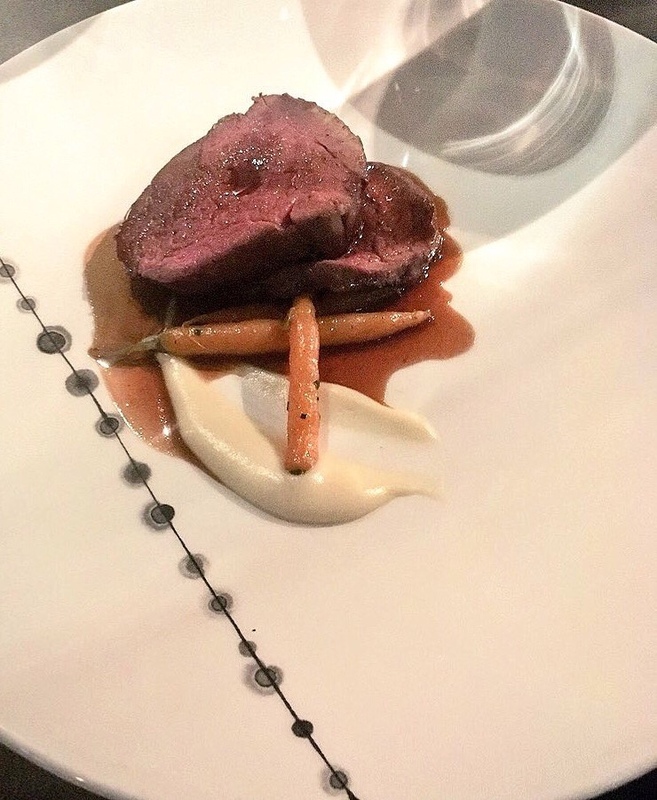 Two slices of blushing pink Herefordshire fillet arrived next, nestled on a bed of creamy Jerusalem artichoke velouté and candied carrots. The tender beef was rich in bovine flavour and rare enough to remain incredibly juicy. I enjoyed the accompanying steamed spinach with a hint of garlic although the fries were fairly uninspiring. 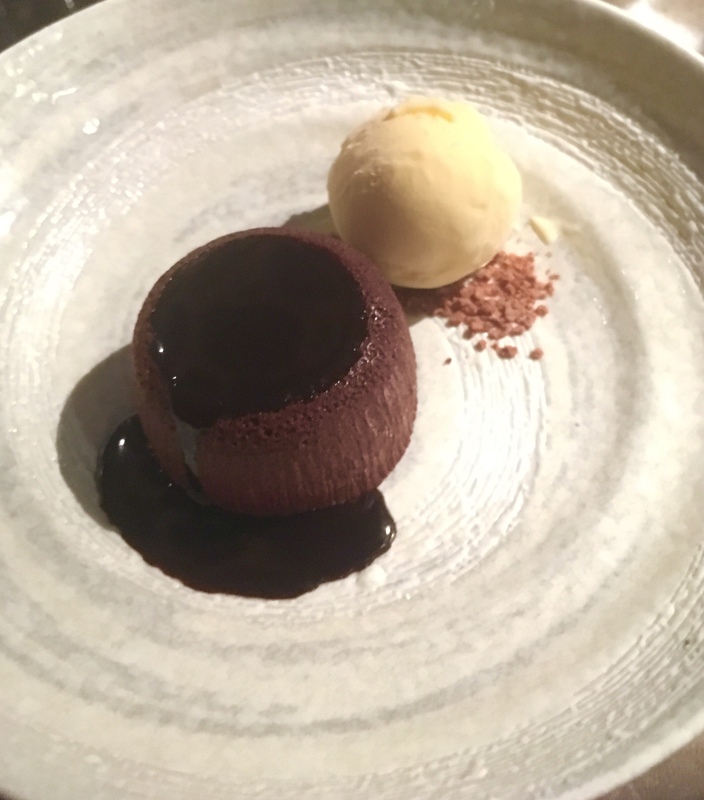 Dessert came in the form of a gooey, oozy chocolate fondant with tonka bean ice cream. As the spoon split the dome a glorious stream of silky sauce trickled into a warm pool at the base of the unusual ice cream; a combination of almond, vanilla and honey notes. A decadent and soulful way to end a meal. Beautiful well thought through food, an extensive wine list and high level service from both the bar and the restaurant.